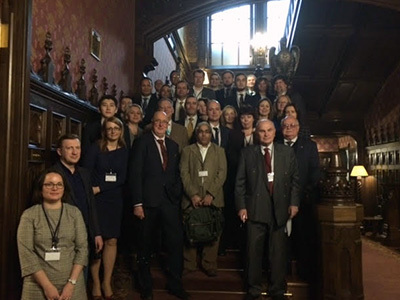 On 20-21 February 2017 the 2nd UK-Russia expert roundtable discussion dedicated to the problem of antimicrobial resistance “Antimicrobial resistance (AMR): action plans implementation” was held at the British Ambassador’s Residence in Moscow. 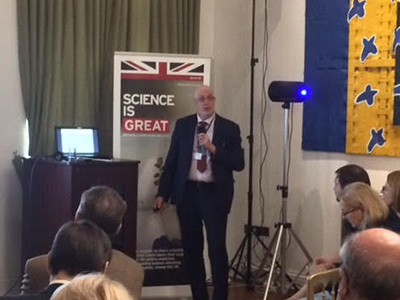 This event was organised by the UK Science & Innovation Network (SIN-Russia) of the British Embassy in Moscow and Department for International Trade in Russia (DIT Russia) in collaboration with the Interregional Association for Clinical Microbiology and Antimicrobial Chemotherapy (IACMAC) in Smolensk (Russia) & the British Society for Antimicrobial Chemotherapy (BSAC). In the framework of the roundtable leading UK and Russian experts in medicine and veterinary, representatives of pharmaceutical companies and UK and Russian ministries as well as World Health Organisation (WHO) and UN Food and Agriculture Organisation (FAO) shared their experience in implementing national AMR strategies and action plans. 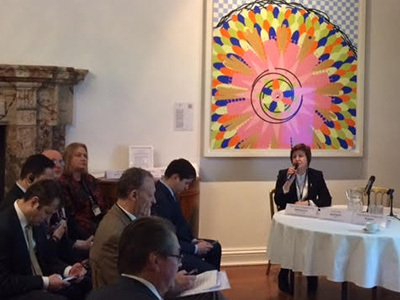 The event also focusdsed on the contribution of the pharmaceutical industry to the AMR tackling campaign. 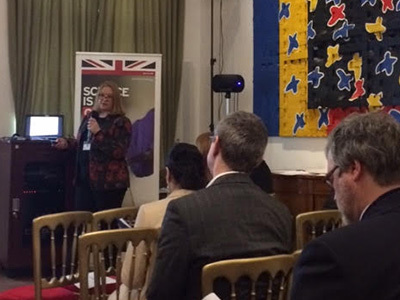 At the roundtable BSAC and IACMAC reported on their joint work and a UK-Russia pilot project on establishing stewardship systems in Russian hospitals. 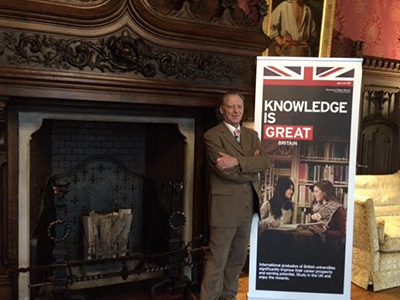 This event was a follow-up to the 1st UK-Russia roundtable discussion on policy, research, and collaboration in the field of AMR held in Moscow in December 2015. 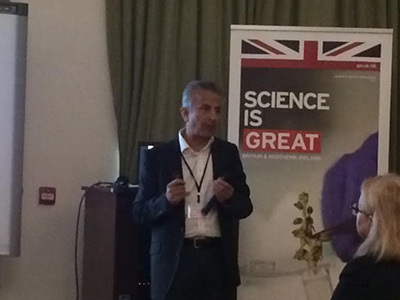 Leading UK experts that participated in the event included Professor Dilip Nathwani OBE (President, British Society for Antimicrobial Chemotherapy (BSAC)), Professor Neil Woodford (Head, AMRHAI Reference Unit, Public Health England (PHE)), Professor Peter Borriello (CEO of the Veterinary Medicines Directorate, DEFRA). 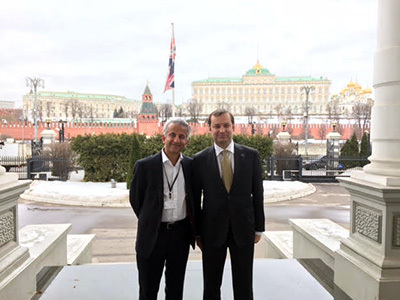 From the Russian side the event will feature corresponding member of the Russian Academy of Sciences Roman Kozlov (Director, Institute of Antimicrobial Chemotherapy Smolensk State Medical University, IACMAC President), and a number of other leading experts. 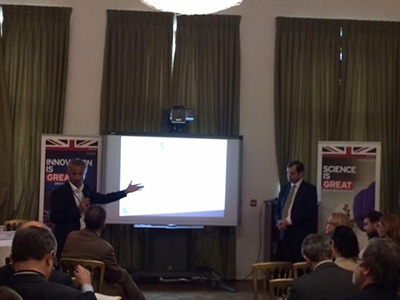 Representatives of some of the UK pharmaceutical companies were also among the participants. Antimicrobial resistance remains one of the global threats to health and economy. It is estimated that by 2050 we would face an additional 10 million deaths per year and at a total cost to the global economy of up to $100 trillion. 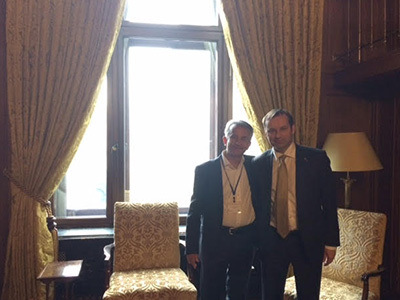 Countering AMR is one of the priorities of the UK Government. In recent years, the UK undertook tremendous efforts to mobilize world community to tackle AMR problems. 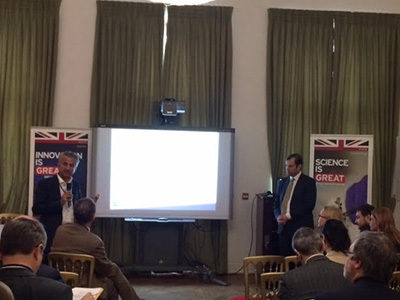 In 2016 a UK Side Event dedicated to AMR was held at UNGA. 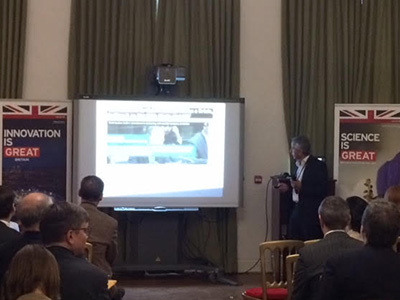 UK experts have leading positions is a program of AMR stewardship. 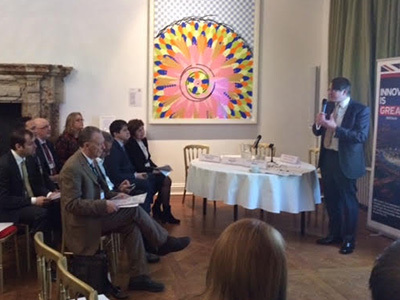 Current stewardship and educational activity in Russia – findings from a survey and what next? Points for discussion: – which issues pharma companies see in Russian regulatory environment which might influence the process of bringing new drugs (with particular focus on antimicrobials)? What they require in order to be able to enhance support to AMR within the country?